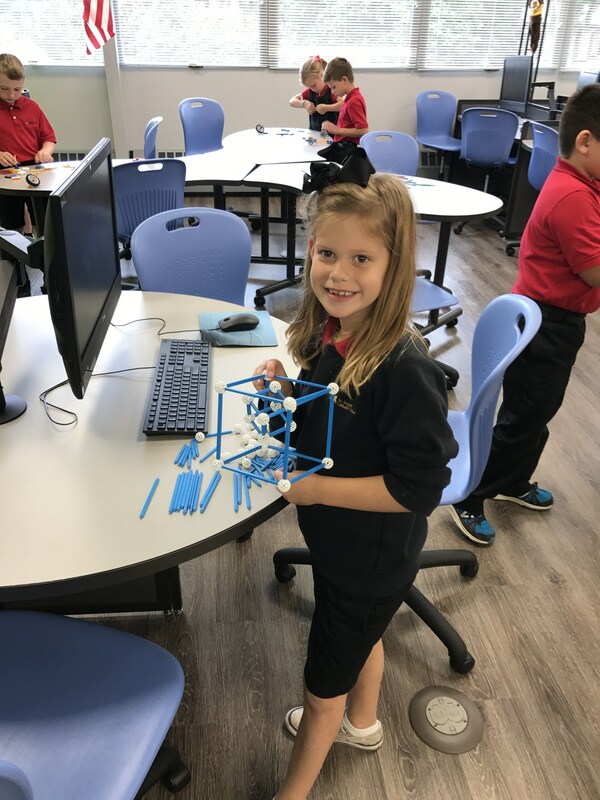 In August 2017, SJCS installed a STEAM Lab and curriculum designed to inspire critical thinking, collaboration and student inquiry using an integrated and applied approach all while encouraging students to take risks and solve real problems. 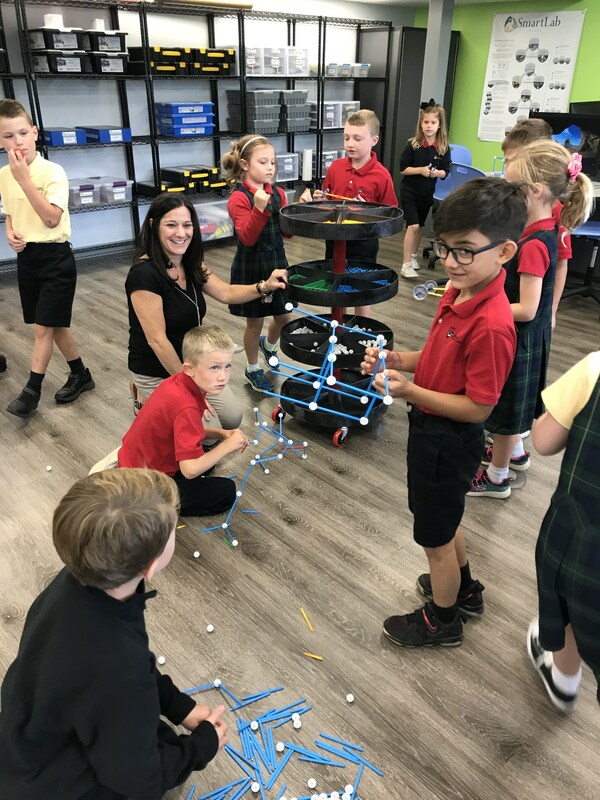 Supported by SJCS’s Long-Range Strategic Plan, backed by research, and guided by the 2016 International Society for Technology in Education standards, St. Joseph has partnered with Creative Learning Systems (CLS) to bring our students a STEAM Lab and curriculum. 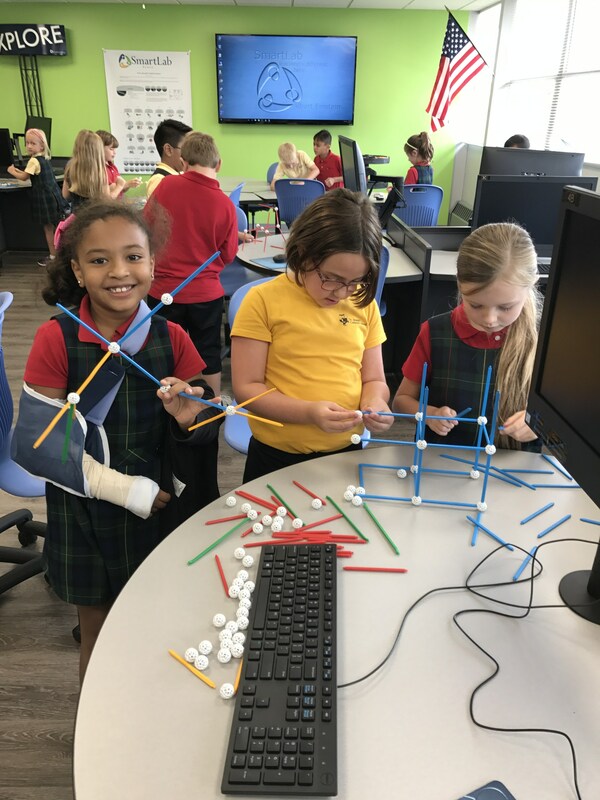 Learners in the lab participate in “engagements” with partners or as a whole class.